"With this line-up, it's going to be some race!" "Hey, Falcon--! Why don't you stick to making your money with your gun..."
"and leave racing to masters of the art... like myself." "AHH! Soon the track will be littered with the smoking hulks of my opponents' wrecked and burning machines. The thought itself is ecstasy! I can't wait!" "You guys better buckle your chinstraps." "This is where the fun starts..."
"Drivers--! To your machines! 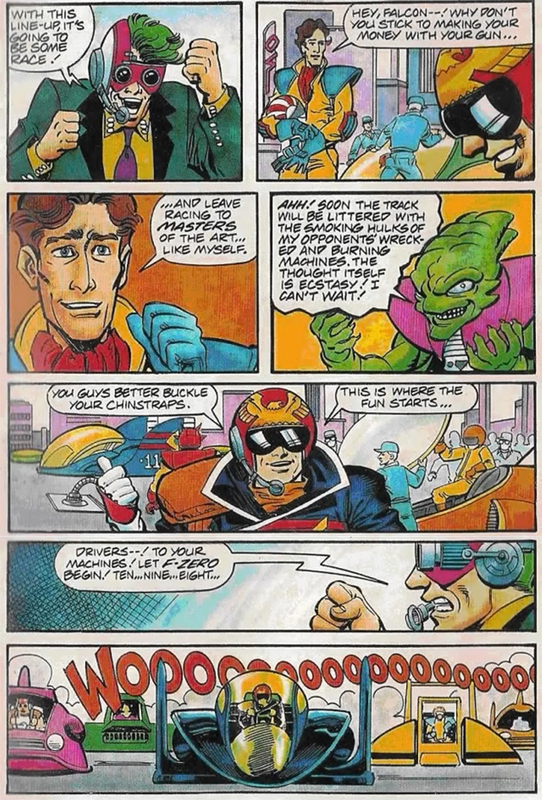 Let F-Zero begin! Ten... Nine... Eight..."